Poll: Are You Enjoying Overwatch on PS4? Overwatch made a big, big splash earlier this week when it launched on PlayStation 4. 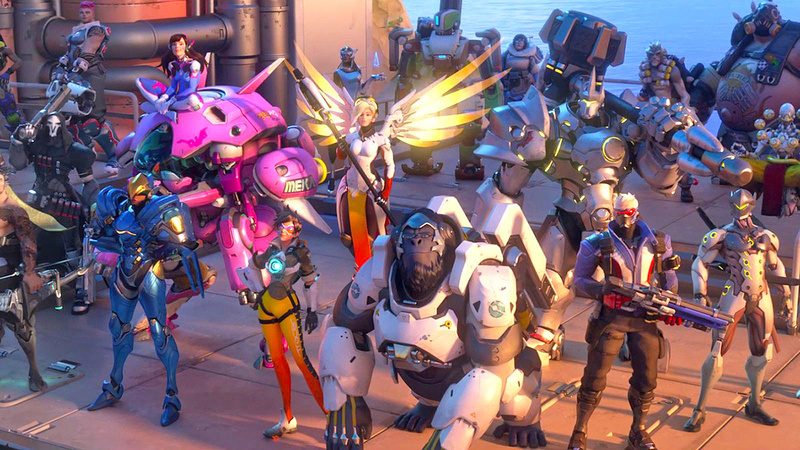 The team based shooter from developer-that-can-do-no-wrong Blizzard has already captured the hearts of many a Push Square scribe, but how do you feel about it? Has its accessibility got you addicted? Have you had your Play of the Game? Who's your favourite character? Take part in our polls, and then form a cohesive unit in the comments section below. Trade my copy of Black ops 3 and some money to get it today. I like healing in games so my character of choice is Mercy. Not sure if I can get Play of the Game with just healing, but I sure get a lot of likes at the end. I haven't played it. It totally wasn't on my radar at all until I saw the glowing critical response. Now that I've actually paid it a bit of attention, I'm definitely interested to give it a try. This kind of PVP just doesn't do it for me on console, unfortunately. Looks good enough, though. Even though it looks really interesting I never really enjoy online-only games... I would probably play it 3-4 times and then never touch it again. I would buy a single player game with these characters though! Such a waste there isn't a campaign mode, I would've bought it. I was hesitant on pre ordering it but I did and I don't regret a thing. Absolutely loving it at the moment. Completely in love with the game. Not usually one for online play but i'm utterly hooked with this title, it's the Blizzard effect! I finally got to play my copy today (didn't get to play on release due to a vacation) and I love it so far. One of the best, if not the best, FPS's that I've ever played. So far my favorite characters are Zenyatta and Soldier: 76. It's fun, perfect for a few games. Voted for Mcree but do like Tracer and Mercy too. It's decent but gets boring quickly and the balance of characters isn't great. I can completely dominate with D.Va. Btw, having a favourite character here is not effective, as you need to have more than a basic knowledge of all, and use them according to the situation/team setup/enemy team/ etc. They aren't characters, they are weapons/perks. Also, yes, the game is great, can't stop playing. My only, very minor, complaint atm is that i wish the crates were SLIGHTLY quicker to earn. yes....and more then I thought I would. I liked the beta, a lot, but wasn't sure if this would stay fun in the long run. Got the game because of a nice 3=2 deal here, and I enjoy it more and more each time I start up. I innitially kept with the same chars I used in the beta (D.Va and Bastion) but more and more I play the others as well (depending on team set up ofcourse) and you really get the hang of each character after a few rounds. Inever played this type of game, and even though there are quite a few complaints about the absence of team death match, I can only aplaud it. This is a team based shooter, and no need for other modes, you get forced to play this as a team (or get owned). Enjoying it so far balancing seem's spot on cept for that damned Torbjorn and his pesky turret's, apart from him the other 20 >.< character's are balanced very nicely. My only concern is will it get old quickly as there's more content and game mode's in R6Siege than there is in Overwatch lol and the reason I stopped playing Siege was lack of content, only time will tell enjoying it atm though. Chose Genji as i've been using him a bit last few game's. @Melucine You can indeed get play of the game with a healer. You just have to go on a major healing spree while your group is doing the objective. For example healing a bunch of people while they are taking a point. @×MEADx: The bane for me when I play Torbjorn is Reaper with his teleport. People will teleport either next or behind my turret and destroy it that way usually with Reaper's ultimate. I've got it on PC. First impressions aren't great but not because of the gameplay, because of a weird glitch. I got halfway through the bot match the game recommends you do, then after the MVP replay thing the game just showed footage of an empty part of the area with nothing happening. After about 30 seconds it went blurry and then lots of noises started, like it was showing an XP bar fill up or something like that. You know, the typical end of level summary thing. For some reason it only seemed to be showing the backdrop. Then after more time it showed the same screen but with a large picture of Reinhardt. Just him in front of a blurry background. That lasted for about another 30 seconds and I found myself kicked back to the main menu. So that's my Overwatch experience so far. @sketchturner That's not really the balance of the characters, it's because you're playing against bad players. It will take a while to get a higher MMR (or whatever this game is using) and to get matched with players of your level. When people talk about balancing in a game like this, Street Fighter, Dota, etc, it only really applies to top players. To most people, they're not pushing the characters to the limits and/or neither are their opponents, so balancing doesn't come into it. It's like a slow car racing a fast car, but both drivers are only going at 5MPH. Which is a great way to find a group too and it lists people looking for all systems PC, PS4, Xbox One in case you have it on those systems as well. @Tasuki thanks! I actually got it alongside a trophy for healing, can't remember the name. I love it, it's just so much fun to play and the 21 heroes to learn and fight with & against keeps the matches interesting. I do wish it somehow had a solo campaign or some sort of story to unlock or anything in the game itself. I'll keep jumping back into destiny for my multiplayer kicks. @tonyp1987 Well this is one of those games where you can play it for 10 minutes and play a match or you can play loads of matches all day long. It's a versatile thing like that. I like this kind of game because you can fit it into whatever other games you're currently playing, same as fighting games. And yeah, I'd love that Star Ocean thing too. I've started playing the SNES original a couple of times but never got that far. I got a number of hours into SO2 on PS1. I then tried to play the remakes on a PSP emulator but (at the time, at least) they had unavoidable graphical glitches so that put an end to that. I absolutely love SO3, I did at least complete that one. One of the most immersive games I've ever played. So yeah, anyway, a batch of them all playable on PS4 would indeed be amazing. From the beta I played it was pretty fun but the thing I would need to get use to is changing heroes mid match because I'm use to just having my weapons and sticking with them in other mp shooters. Where's overwatch is essential for you to adapt. @adf86 Well maybe not in CoD, but in older MP shooters like Quake, you'd change weapons all the time. Remember that before Halo, FPS would have about 10 weapons at a time, not 2 or 3. Or think of TF2 where you also change class at respawn if you so desire. Also, I wouldn't worry too much about having to rapidly and intelligently swap characters, that'll only really be at a certain level of play that'll take weeks and weeks to get to. @Matroska honestly, it takes four/five days to getting used to swapping. What Blizzard is great in is that after a while you love every character even from a aesthetic persepective. Before starting i'd never seen myself using Junky. Now I welcome the need to. There is not a single one i don't have fun with. Except maybe Mei, but only because she is very tricky to be used effectively and i'm not that good yet. I don t know. It seems very "poor" on contents at the moment. I am having fun with Doom both sp and mp and I'll stick with that. Playing it on PC, but havent been able to stop playing. I'm tied between Bastion and Roadhog. Looks good but my lack of game time means I don't really play anything that doesn't have an end to it, i.e online. Don't even have time to clear my SP backlog let alone chuck in 100 hours to some PvP. As a person who put around 1,300 hours into TF2 since the game was released on PC, and around 200 hours on the terribly ported PS3 version, I have to say I love Overwatch. It's a good thing too, because I need something to keep my mind off of my inability to platinum Doom due to a glitched trophy. Ok, now I have the game! The only character I don't really get so far is Mcree! I enjoyed the beta (the clown character I loved lol) but didn't think it would offer enough to hold my attention. The insanely positive reviews have swayed my head though so I'm contemplating giving it a go. I just find it mind boggling how many games have been slated for lack of content (Rainbow Six Siege, Battlefront), yet this seems to be ignored with the scores for Overwatch. They're gonna have to produce a shedload more maps, modes and characters for DLC to make this worth it long-term cos currently it's not really a full priced game to me. D.Va, Lucio and Tracer are my favorites. I would never buy it at the current price. I may be picking it up after more content comes along. Whenever that is. @sketchturner d.va is largely considered the worst character even though she has her uses, so you probably were playing against bad people. I'm generally not one for multiplayer shooters at all, but I've been playing this and I'm a fan of how easy it is to get into. It's not like COD where you if you don't play it relentlessly every day, if you go on everybody is just way better than you and you die constantly. The varied characters mean you're always stronger than some and weaker than others, and you always feel useful as part of the team. @Taski thanks! These are cool. Maybe get another thread going for LFG? The linked one is kinda dead but found it while trying to find teams. 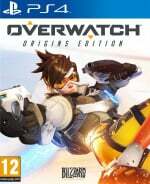 I also found http://guilded.gg/Overwatch/lfg for Overwatch lfg, anyone tried this one?